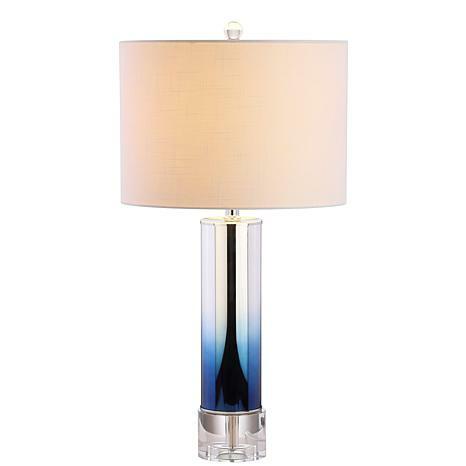 • Copy: A decorative cutout center column is enclosed in an ombre rose-colored glass effect in this stylish contemporary table lamp. With an elegant, round crystal pedestal base, and topped with a drum shade in white linen fabric, every design detail from finial to plug has been considered for maximum style. Fashion meets function also -- this lamp is compatible with LED, CFL, and Incandescent bulbs.